감자탕 진짜 대박. 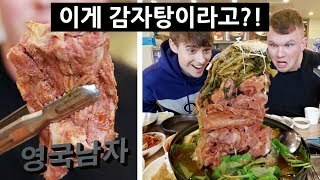 저희가 지금까지 먹었던 음식 중에 비주얼이 역대급으로 최고였어요! And what a gamjatang it is. Potentially one of the most impressive looking meals we've ever had!